Did you know that charcoal has medicinal properties? 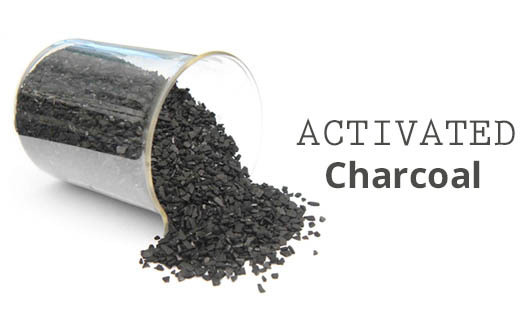 Now, I am not talking about the common charcoal we commonly hear of, but ‘activated charcoal'. Common charcoal is made with coconut shells, petroleum and wood, and is treated with certain gases to create a lot of pores in it. This process makes it ‘activated charcoal'. The medicinal uses of activated charcoal can date back to 1550.B.C. You will be surprised to know it's uses and benefits..
• Activated charcoal is the best known universal antidote to treat poisoning, chemicals and drugs. It can adsorb innumerable poisonous substances before it can cause any harm. • It is also used to detoxify our system from infectious agents and poisonous chemicals that enter our body through various routes like air, water, food and through our skin. • It is also used to treat intestinal gas, reduce cholesterol levels, fight infection, and the best of all is, it prevents a hangover! Toxicology studies have proved that activated charcoal is basically harmless. It is safe to be consumed for treating certain ailments. Activated charcoal is available in most pharmacies in the powdered or in the capsule form. Now, let me tell you something more interesting, you can use it in your beauty routine too! Get a bright smile with some activated charcoal: Put some tooth paste on your tooth brush, and dip it into the activated charcoal powder and brush your teeth as you would do regularly. If the color stays even after rinsing your mouth, brush your teeth with plain water. You'll be amazed to see how bright and white your teeth will begin to look on regular use! Activated Charcoal can become a star ingredient of your face mask: You must have seen some leading beauty brands containing this ingredient! So make one for yourself. Just add one capsule of activated charcoal to any of your favorite face masks and use it as usual. It will leave your skin clean and refreshed. Make your own eye liner: Add very little water to the activated charcoal powder and use it as an eye liner liquid. It is pure, natural and free from all those unwanted chemicals and more over, stays longer. Now I am sure you would be amazed by the benefits of this black gritty powder, so make use of it!